Building regulations in Ireland require that a ventilation space of 50mm is retained between the membrane and the sprayfoam (exception if roof is counter battened externally). The PurAvent ventilation card is fitted to provide for same. The PurAcent card is tested and approved by the N.S.A.I. to be used in conjunction with PurAcell 500 Opencell sprayfoam. 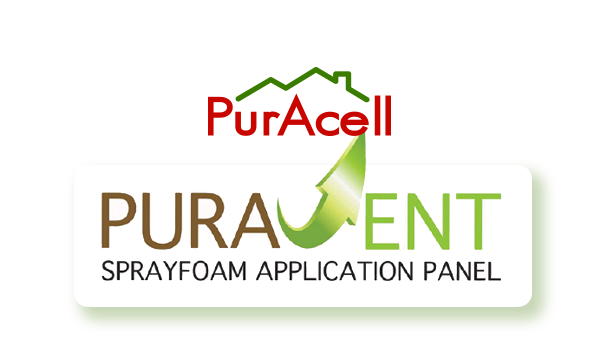 Unlike plastic vent cards the PurAvent card is fully breathable and allows moisture build up to migrate. 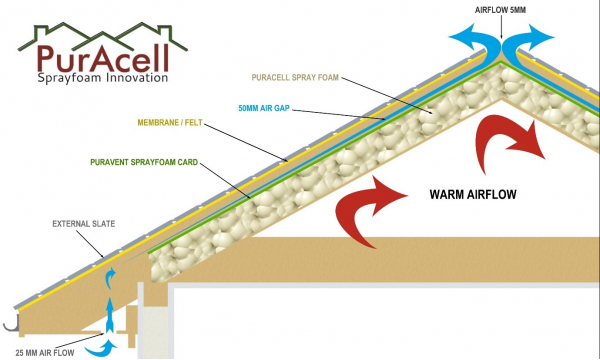 Any roof leaks which may occur in the future will be immediately identifiable on the ceiling slab. 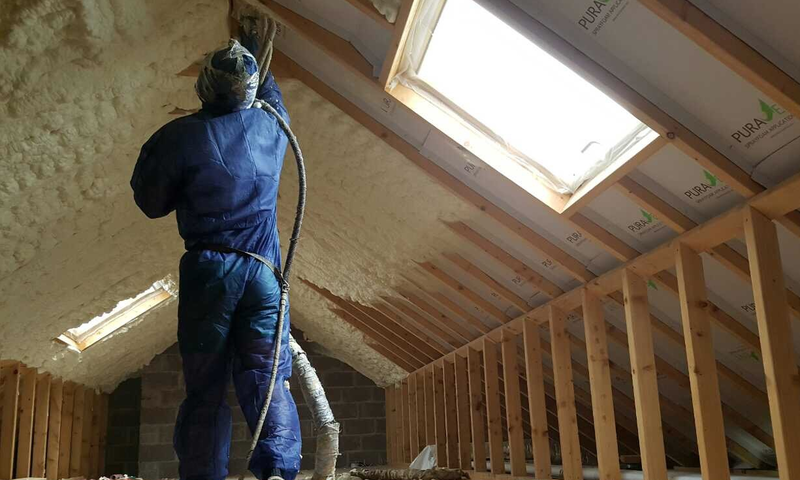 Plastic vent cards would hold any water ingress and could attribute to rotting of timbers as there would be no visual signs of dampness internally. 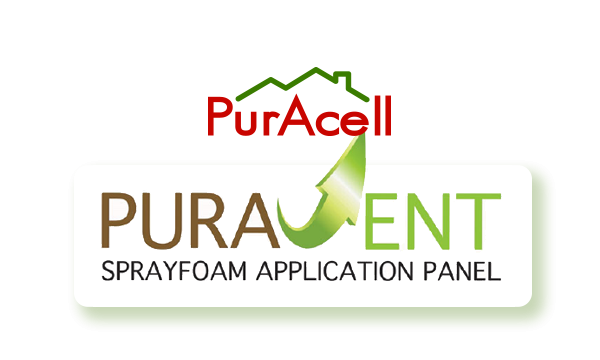 PurAvent is the recommended and certified sprayfoam application panel that should be applied to ensure your roof remains fully breathable following the application of the sprayfoam.